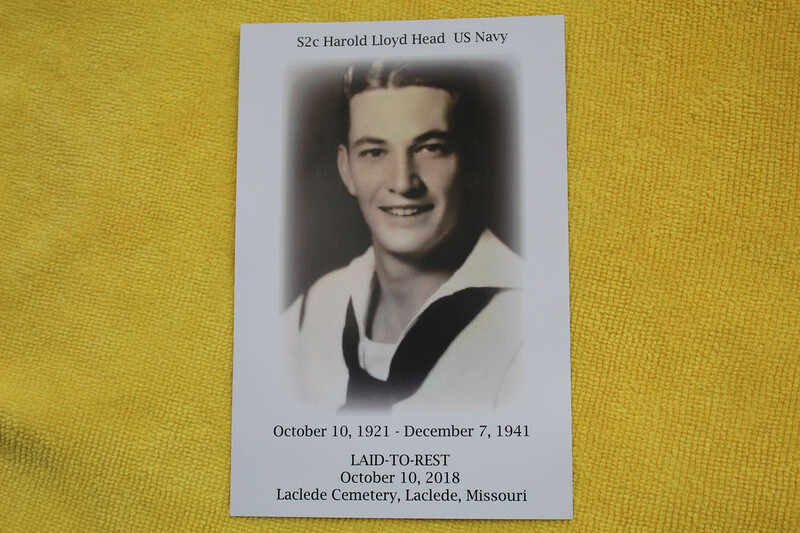 On Dec 7, 1941 on a peaceful Sabbath day, Seaman 2d Class Harold Lloyd Head was asleep on the Battleship Oklahoma in Pearl Harbor. In an instant, 429 crew died including Harold. It took 79 years to finally ID his remains only possible with recent medical discoveries. 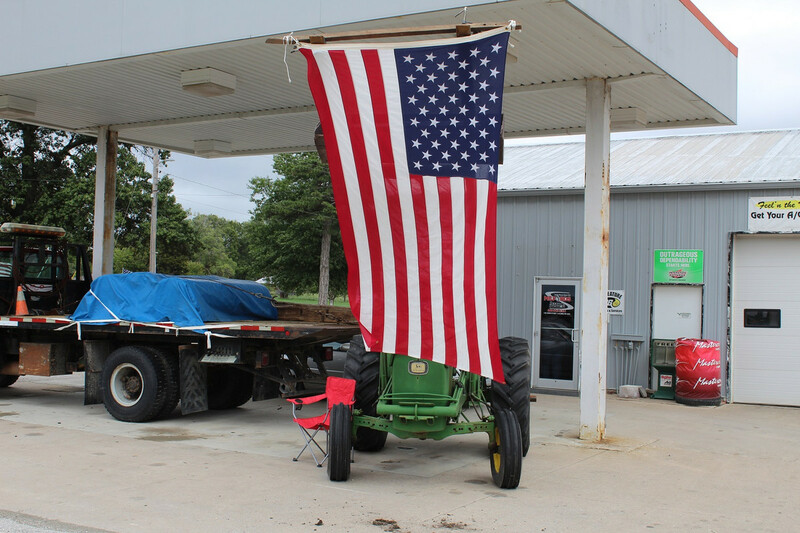 Today, with full military honors, He was put to rest in the War Mother's cemetery plot in Laclede, Missouri. 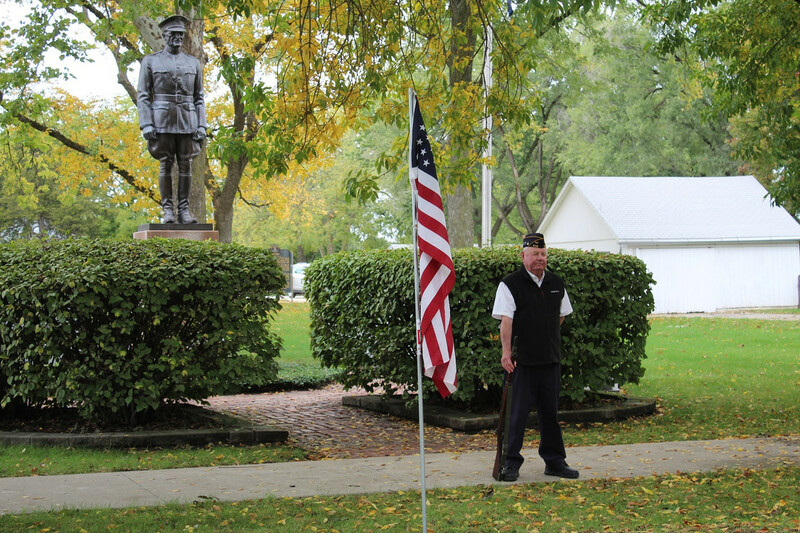 I represented Linneus Post 538, American Legion at the funeral. 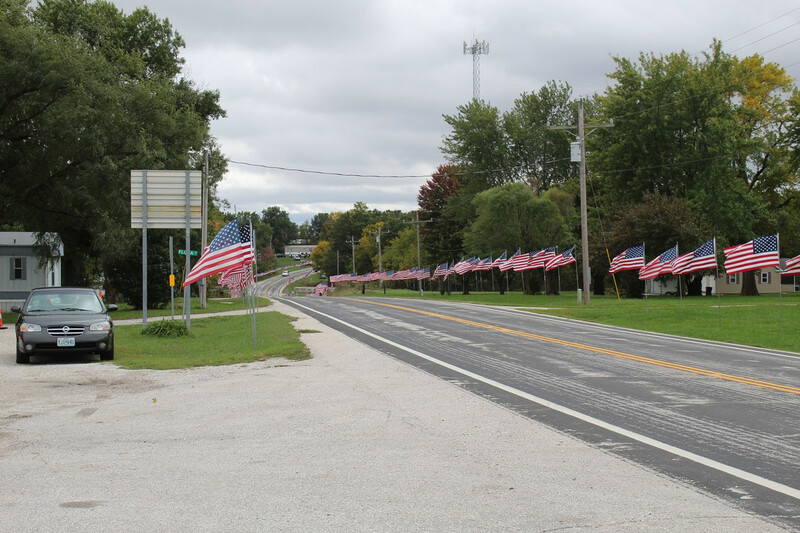 The city procession route was lined with over 500 US Flags. May he finally rest in peace.